Apple Pay Launches Tomorrow – Are You Ready? 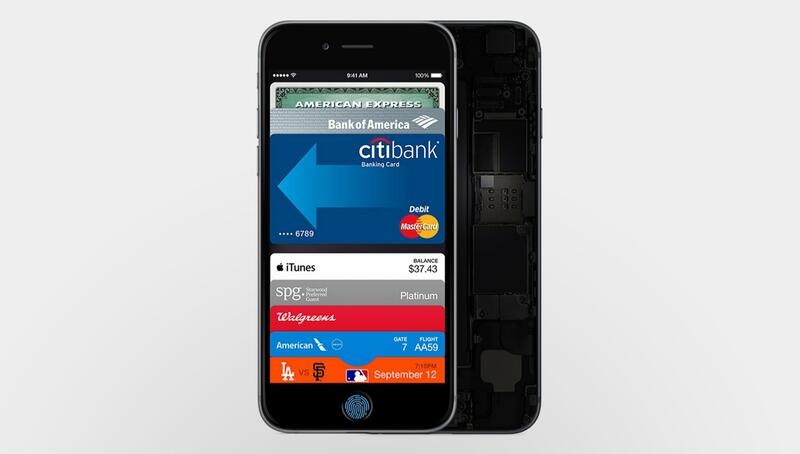 Apple’s payment system, Apple Pay, will launch tomorrow alongside iOS 8.1, the first major update to iOS 8. Apple Pay has the ability to forever change how payments are made. With incredibly advanced levels of encryption and data security, Apple Pay is set to go live at McDonalds, Macy’s, Panera, Office Depot, Subway, Wegmans, Toys R Us, Walgreens, Disney, among others. If you have a shiny new iPhone 6, be sure to try it out, starting tomorrow! Breaking: Download OS X Yosemite Today! Yosemite has arrived! Download it today from the Mac App Store for Free! In an accidental update today, the Cupertino company released an updated version to its iPad User guide, touting the new iPad Mini as the iPad Mini 3 and iPad Air as the iPad Air 2. Apple is expected to release the new devices tomorrow alongside a Retina iMac and new Apple TV. With the launch of Apple’s latest and greatest mobile operating system, iOS 8, there’s never a better time to download it. But what’s in store and how will it affect you as a user? Apple touts iOS 8 as its biggest software update for iOS devices. But wait, what does that really mean? Well, iOS 8 sports hundreds of new features, refined updates and totally new possibilities. First off, Apple has updated the messages app, allowing you to send texts easier and more efficiently. No longer do you need to open the messages app, but rather you can swipe to respond. After many years, Apple has finally allowed third-party keyboards. Currently, the App Store sports several new and enhanced keyboards for your iPhone or iPad that add features such as swiping, gestures, different designs, etc., and allow for quicker typing. The new operating system also touts an updated photos app with new filters, enhancements and better organization. The new Family Sharing feature in iOS 8 allows families to share content between multiple iTunes accounts. Gone are the days where you’d have only one iTunes account for your entire family. Also, Apple debuted iCloud Drive, a service that aims to sync all data in the cloud. Developers can now optimize their apps to support iCloud Drive so apps can access iCloud data much like Apple’s Pages and iBooks apps do. However, perhaps the coolest of all features introduced in iOS 8 is Continuity. Continuity allows iOS users to connect their devices like never before. You can receive an incoming call on your iPad via your iPhone or begin writing an email on your iPad and pick up right where you left off on your Mac. Apple’s strategy with Continuity will make iOS devices even more tightly integrated and work seamlessly together. Perhaps even more incredible is what Apple has done for its developers. Even if you’re not involved in the development of an app, iOS developers’ work is all around us. With iOS 8, developers can now create “extensions,” or new ways of integrating their apps into the system. For instance, the new Tumblr app lets users share content without ever having to open the Tumblr app. You’ll also see new “widgets” in Notification Center – and there have been several incredible ones already released. Yahoo!’s Weather app is a fully fledged service and looks great. Additionally, you’ll be able to say goodbye to the days of manually typing passwords with Touch ID (Apple’s fingerprint sensor) integration. There’s also a new health app that syncs with other apps from the App Store to provide an actual representation of your daily activities. Further, new games built with a service Apple calls Metal will provide 3-D graphics for iOS devices. Finally, Apple released a new programming language for developers, Swift, that will make apps quicker and more efficient. Overall, iOS 8 is defiantly a worthy upgrade. While it isn’t as major a design change as iOS 7, its internal features are really fantastic and well worth the upgrade. However, iPhone 4S might find the new system will create some (not terrible) lag on their device. So, what are you waiting for? Download the free iOS 8 update for your iPhone or iPad now.